Delivering a successful keynote or presentation entails, among other things, a great deal of confidence from the speaker/presenter. Practice, training and dedication feed confidence and provide it with the needed milieu to grow and thrive. Public speaking is, after all, a skill that develops through practice. 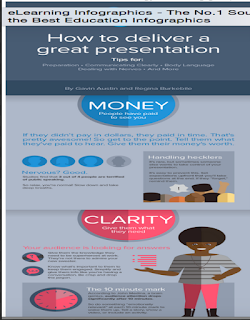 In previous posts we covered some useful techniques and ideas on what it takes to create and deliver presentations that engage your audience and keep them focused. The actual resource we have for you today goes in the same direction. At the end of your presentation, make room for questions and make your materials available for your audience.